To coincide with each trade show, the organisers run a framing competition that is open to all members of the industry. This competition is run for the purpose of education and promoting the value of framing design in the industry. Entrants are required to frame a print supplied to them by the organisers, using materials and methods of their choice, to be submitted to the competition. Entries are displayed at the trade show where they are judged by a panel of experts with prizes announced and awarded during the event. The Framing Competition is sponsored by Epson. Winners are announced at the show. 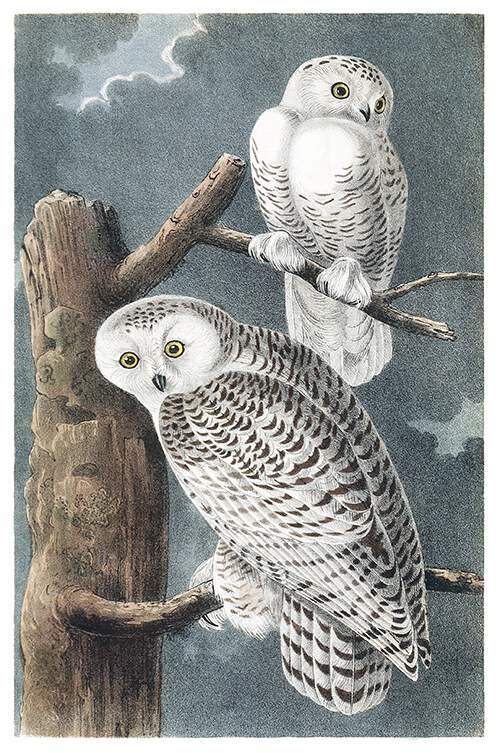 The 2017 competition print is a reproduction of an antique book illustration called Snowy Owl, by John Audubon, 1840 (see below). The printed image size is 280 X 180 mm. For any further enquiries please phone our office on 03 5975 3677. You can view photos of previous competition entries on our facebook page.